Module certified by several independent organizations. High efficiency under low light environments (mornings, cloudy days, evenings). Modules certified to withstand high wind loads (2400 Pascal) and heavy snow loads (5400 Pascal). Reliability and warranty of the output power. Each module is flashed and controlled individually. Being used for the most critical applications in the Petrochemical Complexes, Refineries and in Nuclear Power Plants, our Stainless Steel Pipes are well recognized and approved by the main EPC and Oil Companies in the world. By Tubos Reunidos S.A based in Amurrio, SPAIN. It is an old tradition to use wind as an energy source. Today this energy undergoes a renaissance. Due to the technical development these options are already available for owners of single family homes, farmers and business enterprises. So-called small wind turbines can be built in different variants starting from 0 to 100 kW. As the A340 Family’s shortest-fuselage member, the A340-200 has a capacity of 261 passengers in a typical three-class layout. With its optimal range of 6,700 nautical miles, this jetliner allows airlines to open long-range, direct routes between city pairs that previously needed intermediate stops. By Airbus, an EADS Company based in DA Leiden, NETHERLANDS. IHT has designed and manafucatured chilling coils for many different turbine applications. Our coils outlast and outperform the competition every time. Let the benefits of an IHT coil make your chilling package the superior offering. SynonymsCyclohexyldiphenylphosphine oxide, cyclohexyl(diphenyl)phosphine oxide, CID83664, EINECS 237-204-6, ST5407822, 13689-20-8. By Wilhelm Deller GmbH & Co. KG based in Siegen, GERMANY. By Ebner GmbH & Co. KG based in Eiterfeld, GERMANY. Silent Wind Turbine. The Horizontal Axis Wind-Power Turbine ( HAWT ) is a new product designed. We started the research on HAWT 15 years ago. Now many of the famous experts the world wide have accepted such new technology and this technology will definitely lead the development of the small and middle size wind-power turbines. By JL Carbonfree Energy Science & Technology based in changchun, CHINA. By Price-Schonstrom Inc (PSI) based in Walkerton, ONTARIO (CANADA). Modular Design 80A for single module up to 5120A. Compensate up to 51st Harmonic. Programmable Power Factor Correction. Programmable relocated 100% unbalance load. By ABLEREX Electronics Co. Ltd based in New Taipei City, TAIWAN. 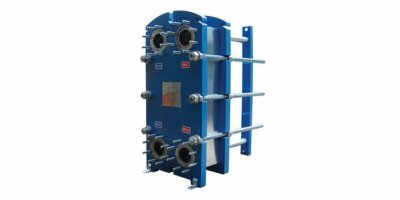 Plate Heat Exchangers (PHE) are designed to provide maximum efficiency in heat transfer using non corrosive metals for various aquatic heating and cooling applications using the minimal amount of floor space. 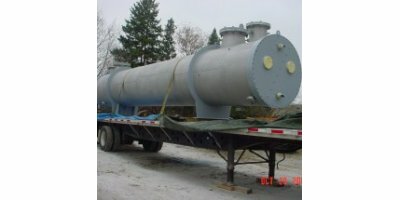 The exchangers are used in conjunction with chiller and boiler equipment. PHE units range from 4 to 300 gpm. By Aluwind A/S based in Ringe, DENMARK. Made with pure Titanium, the innovative distinct TeeW Line design is a fusion of functionality and cutting edge thermal technology. The unique geometry of the Tee Line optimizes flow turbulence and increases the heat transfer coefficient, and along with its versatile assembly, provides the perfect solution for your diverse application. By AIC Inc. based in Oakville, ONTARIO (CANADA). 12 JOULE, STANDARD-FIRE: Produces 4-6 pulses per second at 300 watts. 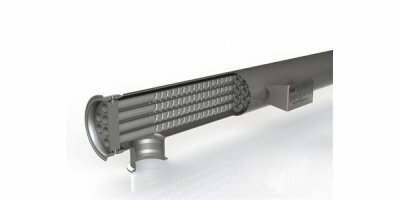 Designed for relatively volatile 'Heavy Fuel Oil' applications or 'sooted or fly-ash' covered Fuel Ignitors. Same 12 Joule Arc Energy as Rapid Fire only more economical. By Frederick Cowan & Company Inc based in Riverhead, NEW YORK (USA).